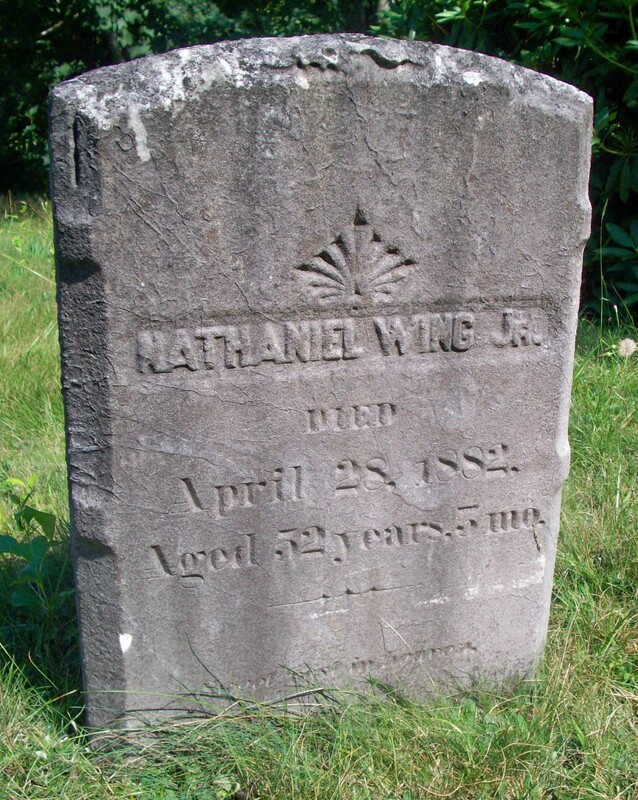 Ancestry: Nathaniel/Uncle Natty Wing, Jr.; Nathaniel Wing, Rev War; Nathaniel Wing; Ebenezer Wing; Nathaniel Wing, KP War; Stephen Wing; John Wing, Rev. Born: January 19, 1830 in Pocasset Ma. Died: April 28, 1882 in Sandwich Ma. at 52 yrs, 3 mos. 1. Josiah T. Wing; (May 30, 1851 – July 27, 1853); Josiah died at 2 yrs, 2 mos. 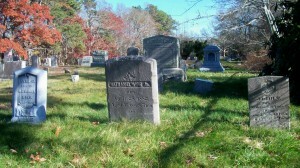 & is buried next to his parents in Pocasset Cemetery. 2. John Cook Ellis Wing; (July 10, 1854 – January 12, 1921); Married Jennie W Briggs (Abt.1857 – ?) (George H. Briggs & Hannah Simpson) in Bourne Ma. on November 14, 1889; John was a farmer in Maine. 3, Gwinemma Satella Wing Ellis; (December 11, 1855 – January 25, 1905); Married Andrew Foster Ellis (1850 – 1932) (Ebenezer Ellis & Elizabeth/Betsey D. Haskell) in Pocasset Ma. on November 26, 1876; Andrew married (2) Katherine Harriet Llewellyn (1875 – 1968) (Henry Llewellyn & Mary A. Grisio) in Providence R.I. on April 28, 1909; Gwinemma, Andrew & Katherine are buried together in Pocasset Cemetery. 4. Addison Francis Wing; (September 13, 1868 – February 28, 1924); Married Caroline/Carrie C. Wixon (1871 – 1898) (Eldridge F. Wixon & Esther F. Eldridge) in Bourne Ma. on January 24, 1889; One son, Nathaniel Roscoe Wing, is buried in Cataumet Cemetery & another, Elwood Foster Wing, is in Pocasset Cemetery.